It’s been rainy and in the 40s and 50s this week. We reach 65 again tomorrow thankfully. Despite the cold spell we’ve had which has required wearing long sleeves or a jacket when I go out (glad I didn’t pack them all away), another iris still managed to bloom this week. A lot of the new buds still waiting to open took a beating from the rain. I even had to clip some that broke and bring them in and put them in a vase, hoping they will still bloom. I expected the cold to probably spoil some of the flowers or our garden, but everything is hanging on for the sunshine. You can see the bloom in the background of the photo is oddly shaped thanks to the wind and rain. This bloom is bittersweet for me though because this is its first year blooming. And it’s a transplant from my mother’s garden. 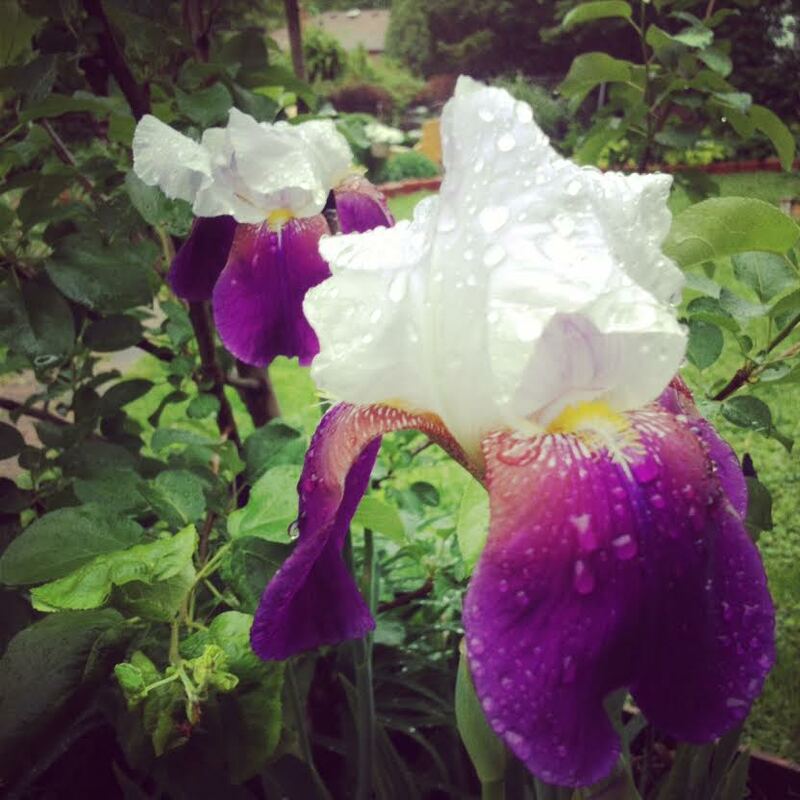 Mom has had these irises in the front yard for as long as I can remember. Two years ago I took a piece of a root and brought it home. It did not bloom last year, but it probably was not planted in a prime spot. So, we moved it last year and it seems to be doing much better this season.